English is the official language in many parts of the world. Many international students are required to take an English language exam in order to gain entrance into a College or University. A primary challenge for international applicants seeking to work or study overseas is the ability to speak English. 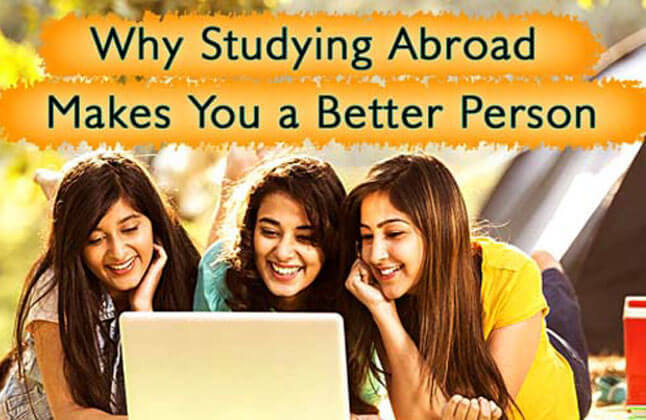 Strong skills are needed in writing, speaking and understanding English in order to work or study abroad. English language tests are required by universities, immigration departments, professional bodies and employers. The experience of studying abroad is academically satisfying. It is also an excellent way to experience other countries' culture through education and immersion. By taking a focused academic English language exam, you will learn the right kind of skills to succeed in your studies. Academic English language exams develop real-life English language communication skills, in addition to a range of practical academic skills. There are a number of reasons why taking an English language test is helpful; Educational institutions require certain English language requirements for admission into universities; immigrants need to show they can use the English language in communicating with others. While some take the test just to know their level of English. More schools are developing English as a Second Language program to support the increasing numbers of international students. There are a number of English language tests that are accepted by schools and institutions across English speaking nations. The exam commonly used throughout the United Kingdom, Canada, Ireland, and New Zealand is the IELTS. This English language exam is jointly managed by the University of Cambridge ESOL Examinations, the British Council and IDP Education Pty Limited: IELTS Australia. While the most commonly accepted test in Northern American Universities is the TOEFL, this exam tests one's ability to understand North American English as it is spoken, written, and heard. The TOEFL exam is administered by the Educational Testing Service. The Pearson Test of English Academic is another English language test that is now widely accepted in a number of countries. It tests English language abilities in a three-hour exam, which involves a number of real-life settings. In this test, students will be listening to a range of accents and academic language which they are likely to encounter at English-speaking institutes. Since there are a number of English tests available, it can be hard to decide on a particular one. While some are more widely accepted than others, ensuring that you choose the right test is just as important. Measure your English level before you choose a test, keeping in mind the test requirements of the University. "I clearly remember the day I started my TOEFL coaching, after seeing the different sections of TOEFL I was sure I won't pass the test. But my faculty's support and personalized attention helped me. TOEFL being an internet based test, practice was very important. Edwise provided me with number of mock tests which boosted my confidence. I thank the entire Edwise team for the same." "My TOEFL class here at Edwise has been started great. I have experienced good changes in my performance. Good attention is given on individual students and the students weakest points are worked upon really well. Totally satisfied! My faculty is awesome teacher and a guide. Learned a lot of things and would surely look forward to my bright future. Thank you Edwise." "The Edwise mock test for the PTE was amazing and really helped me understand the format of the test and the coaching helped me to thoroughly prepare for the test."